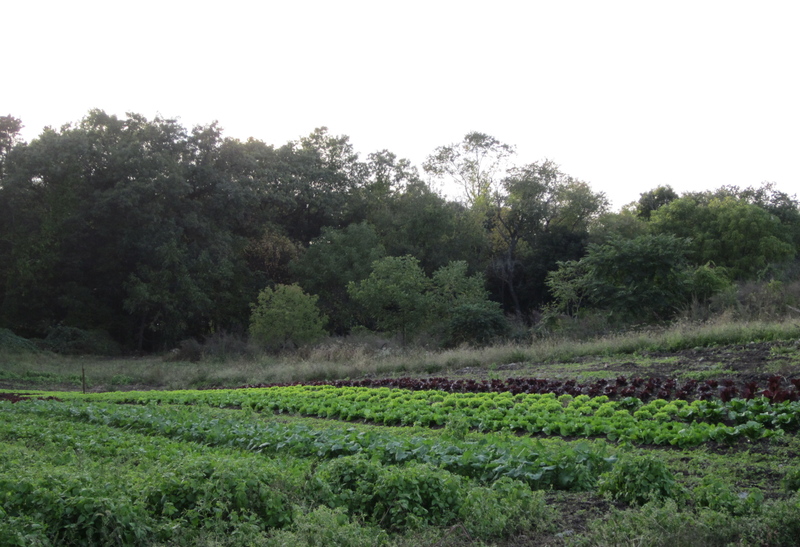 All of the Shared Harvest veggie farm have rows and rows of leafy greens growing for fall and winter harvest. Most farmers have row cover ready to toss over beds of the more tender greens when frost is predicted. The lettuce, escarole, endive and dandelion greens growing in the Busa fields will do fine without protection through light frosts. 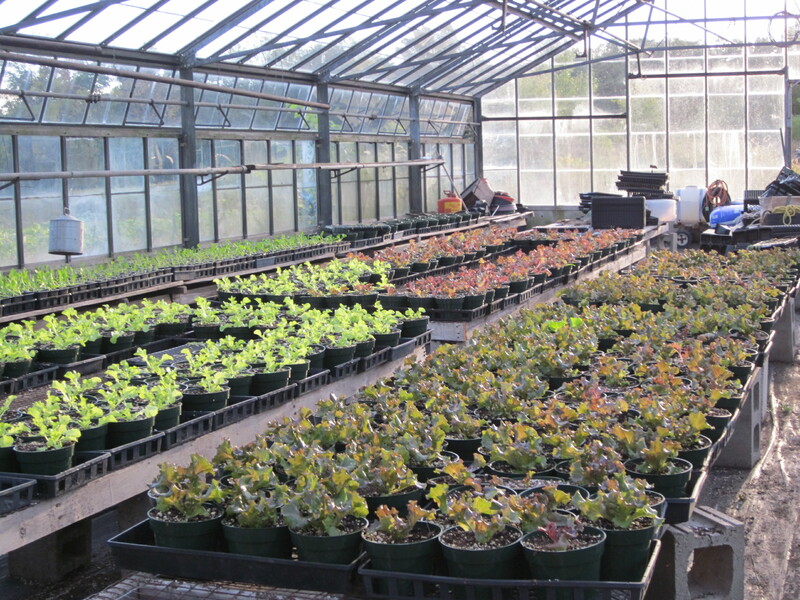 Dennis Busa is growing some of the winter share greens in his greenhouse. I think the greens on these benches are mostly lettuces and some chicories. This is a 1950s era greenhouse that is in terrific condition. The roof can be opened at the top to vent heat and help with air circulation. It gets toasty warm in the greenhouse on sunny days and generally stays above freezing in the evenings because the foundation retains a good amount of heat.